Ready in 30 minutes or less from start to finish, these quick recipes make dinner easy. This week's meal plan goes to show just how quick and easy it can be to create healthy and delicious dinners. Healthy convenience items, such as frozen hash browns and pretrimmed veggies help to get dinner on the table in a flash. These recipes come together in 30 minutes or less—seriously, 30 minutes or less from start to finish—and are simple to make, so even non-cooks can conquer in the kitchen. 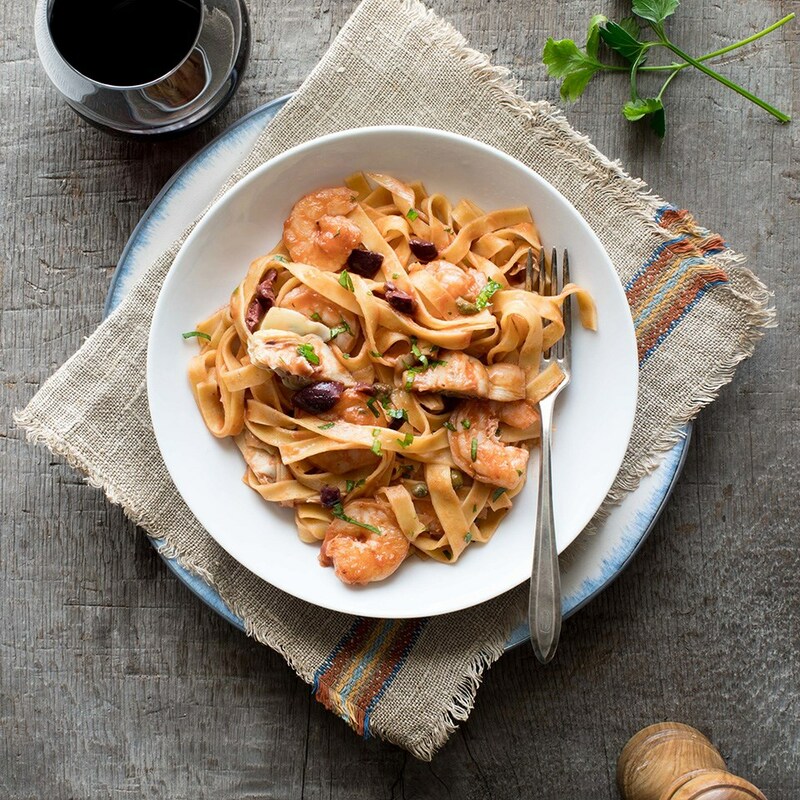 Quick Shrimp Puttanesca: Because refrigerated fresh pasta cooks much faster than dried pasta, this Italian pasta dish will be on the table in no time. Puttanesca, traditionally made with tomatoes, olives, capers, anchovies and garlic, gets a makeover with shrimp for extra protein and artichoke hearts to boost the vegetable servings (and the fiber!). 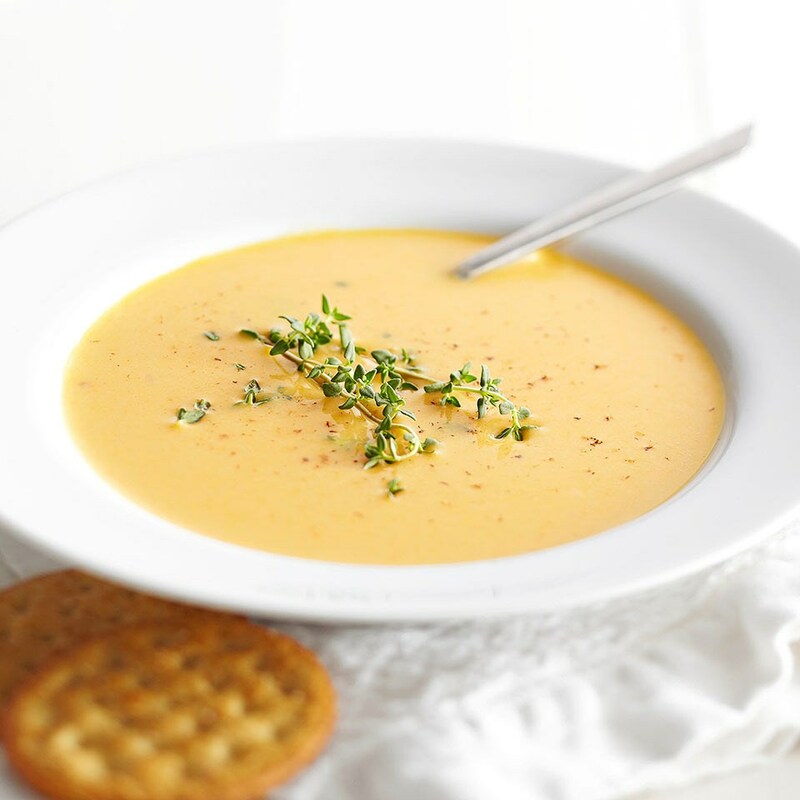 Easy Butternut Squash Soup: Heating precubed butternut squash in the microwave is the secret to this quick shortcut dinner. Once the squash is soft enough, add it to the rest of the ingredients and bring to a simmer. This fast and simple soup is perfect for busy weeknights. Serve with Garlicky Wilted Greens and a big hunk of baguette to round out the meal. 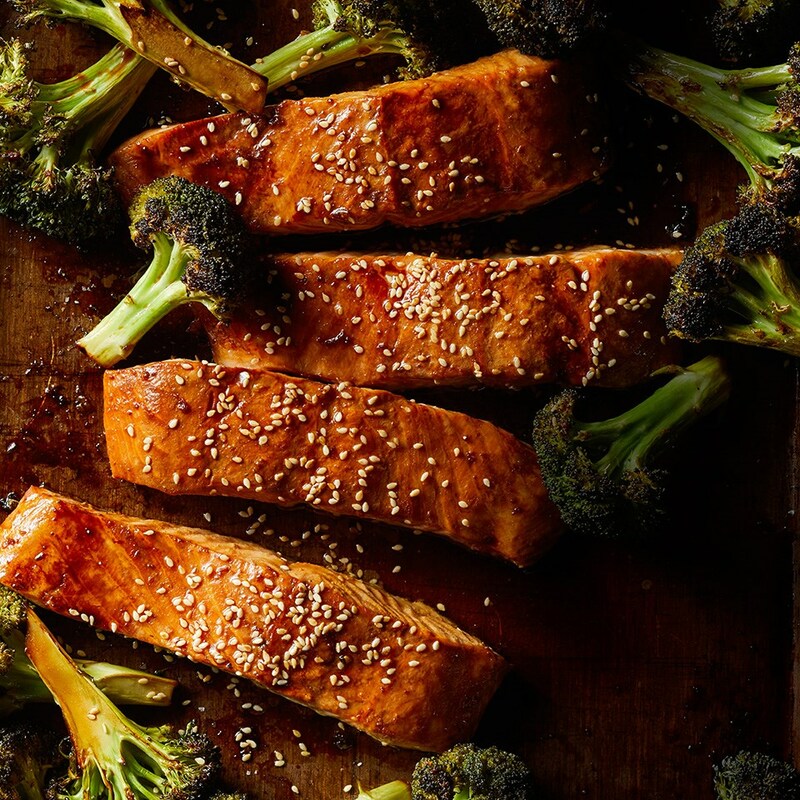 Ginger Roasted Salmon & Broccoli: In this delicious Asian salmon recipe, broccoli and salmon are coated in a ginger glaze and roasted together on one sheet pan for a fast dinner that's just as easy to make as it is to clean up. Serve over brown rice tossed with sesame oil and scallions to complete the meal. 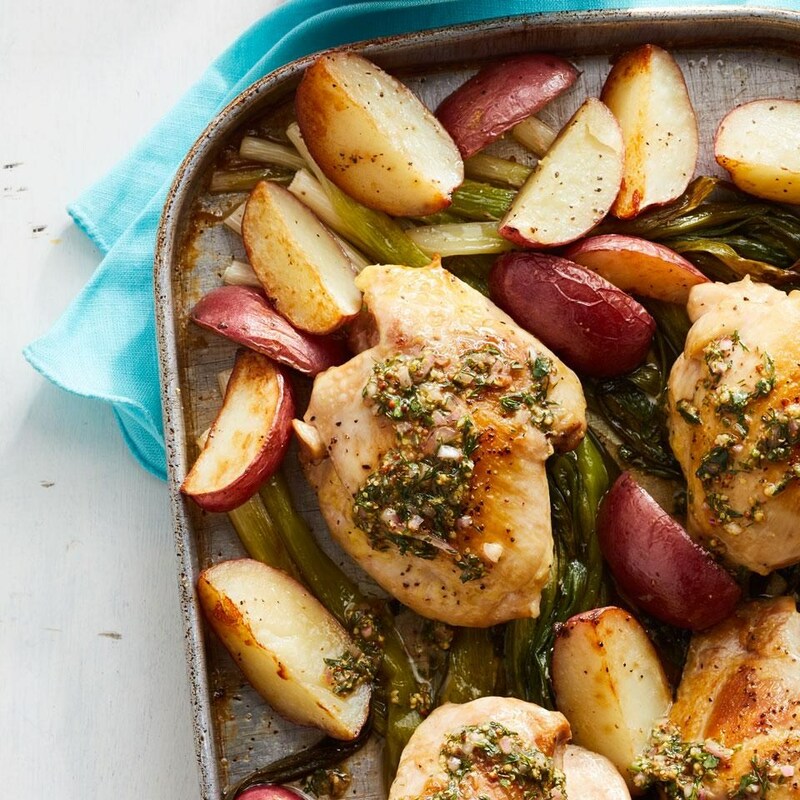 Roasted Chicken Thighs, Potatoes & Scallions with Herb Vinaigrette: Roasting chicken thighs directly on top of the vegetables bastes the scallions and potatoes with delicious drippings in this healthy dinner recipe. Plus, cooking everything on one pan means you won't have a sink full of dishes to deal with after dinner. Serve with a simple mixed green salad to round out the meal. 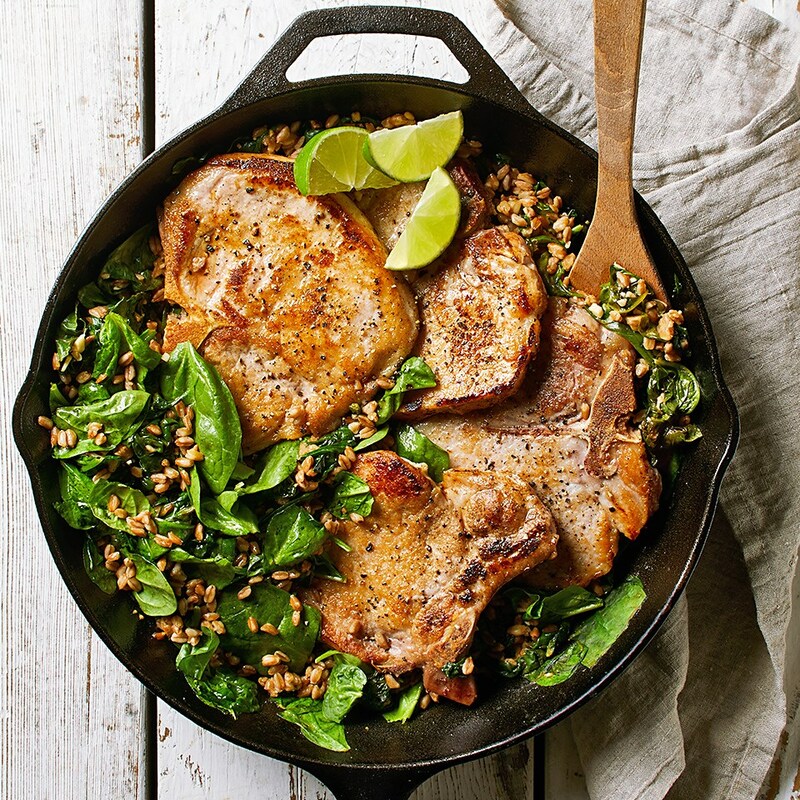 Garlic-Lime Pork with Farro & Spinach: In this easy main dish recipe, pork chops are paired with farro and spinach in a zesty peanut butter-lime sauce. This impressive one-skillet meal will be on the table in under 30 minutes. 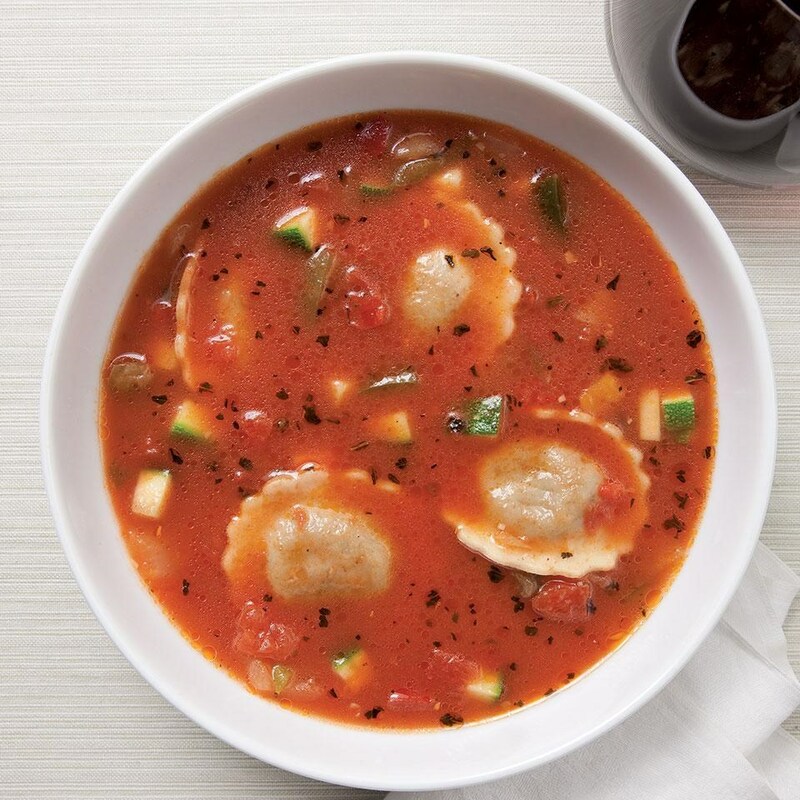 Ravioli & Vegetable Soup: Thanks to pantry staples (canned tomatoes and broth) and convenient frozen foods (ravioli and frozen mixed vegetables), this simple soup comes together quickly in 25 minutes. 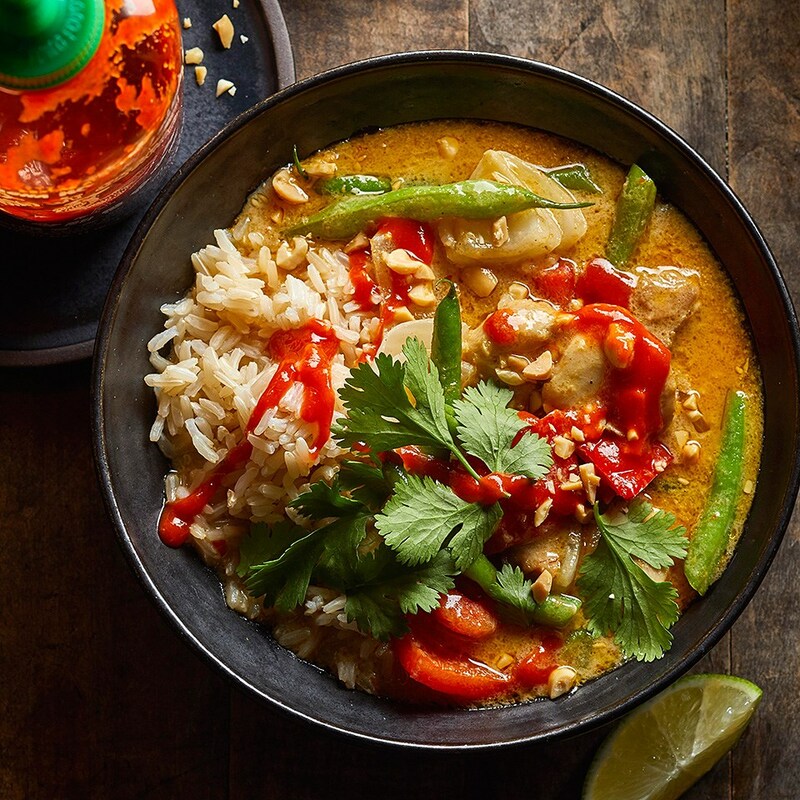 Thai Yellow Chicken Thigh Curry: The trick to making this curry incredibly flavorful in just 30 minutes? Sizzle concentrated curry paste in oil before adding in the other ingredients to boost the complexity of the flavors.